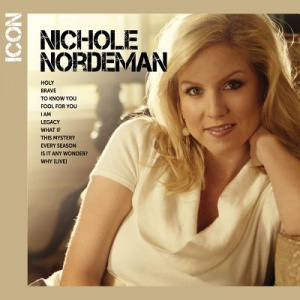 Since her debut album in 1998, noted lyricist Nichole Nordeman has sold over 1 million records and won 9 Dove Awards, including Female Vocalist of The Year and Song of The Year. Widely known for her gift of touching the hearts of her listeners with her sophisticated yet accessible music and daring, thoughtful lyrics, her gift of storytelling in song has led to hits like "Holy" and "Legacy." This new addition to the Icon series features 11 poetic songs from Nichole including, "Holy," "Brave," "Legacy," and "Every Season." Icon CD by Nichole Nordeman was published by EMI CMG Distribution in July 2013 and is our 20718th best seller. The ISBN for Icon CD is 5099995876320. Be the first to review Icon CD! Got a question? No problem! Just click here to ask us about Icon CD.